Professional gutter cleaners in Llanelli, cleaning Gutters, Fascias, Soffits and downpipes. JDM Window Cleaning provides a professional gutter cleaning service to the Llanelli area. 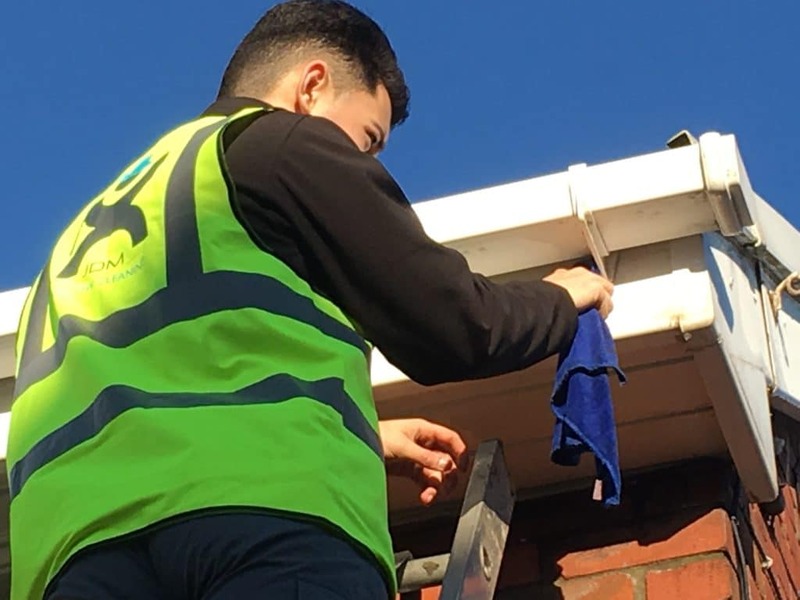 Using our pure water fed pole system we can clean the exterior of your gutters, uPVC, Fascia’s, Soffits and downpipes, ensuring your property looks its best. Our gutter cleaners are second to none and we will ensure all algae and stains are removed. We can get to hard to reach areas like those above conservatories or garages because we use our long reach pole system to clean your gutters. Having uPVC fascias, soffits, cladding & gutters certainly makes a great improvement to the exterior of any property and of course also direct rainwater to a safe place. Unfortunately, they are not completely maintenance free. Over time built up dirt, grime and algae can soon make them look unsightly. Therefore a regular clean is often the best solution. Gutter cleaning is an essential part of home maintenance and we recommend getting your gutters cleaned on a regular basis to avoid the damage blocked gutters can cause. Not to mention the unsightly exterior of the gutters and costly repairs you could incur if they are neglected. Our other exterior services include cleaning windows, conservatories, conservatory roofs and other external areas of homes and commercial buildings.